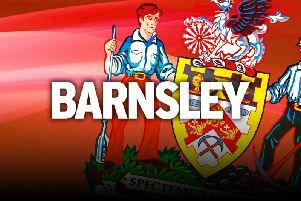 BARNSLEY boss Danny Wilson swooped today to sign TWO new players. Highly-rated striker Sam Winnall joined the Reds from Scunthorpe United on a three-year deal, while goalkeeper Ross Turnbull was signed from South Yorkshire rivals Doncaster United on a two-year contract. The double signing follows on from a deal to bring former Derby County midfielder James Bailey to Oakwell on a two-year deal on Tuesday. Wilson has lost a string of players this summer, with many of last season’s Championship squad having rejected new contracts. The Star understands those contracts were on reduced terms and Wilson was keen to strengthen his ranks with the new League One season fast approaching. So far Wilson has signed six new players for the new campaign having lost more than double that amount of players during the summer. And The Star understands Wilson is hungry to sign more players before the Reds kick off their new season at home to Crawley Town on Saturday 9th August. “I’m delighted to get both boys in, they’re good signings for us,” Wilson told The Star.